Team GB wins 3 Bronze medals! 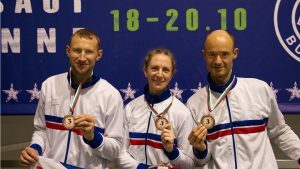 Six fighters, 1 coach and 4 officials represented Great Britain at the World Savate Assaut Championships 2018 as part of the biggest competition to date. Three days of fighting saw over 200 athletes from 42 countries compete to see who would be crowned World Champion 2018. 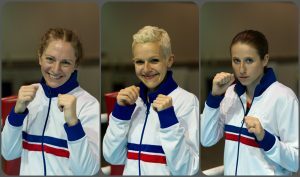 Our fighters fought hard, drawing some of the top Savate nations in the World to move through their pools and into quarter and semi-finals. Morgan Alexander (f-70kg), James Antill (m-75kg) and James Southwood (m-80kg) showed their true class, out-kicking and out-boxing their opponents through to the semi-finals, where all put in a great show before heading to the podium to claim their Bronze medals. 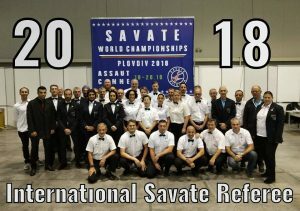 Thanks to George Tanchev and Savate Bulgaria for hosting this competition. To all of our friends and rivals worldwide – we’re looking forward to the next one! Happy fighting! Many thanks to Niall Sheffield for the fantastic photographs!